About emailroses.com in . Description of our website servicing . 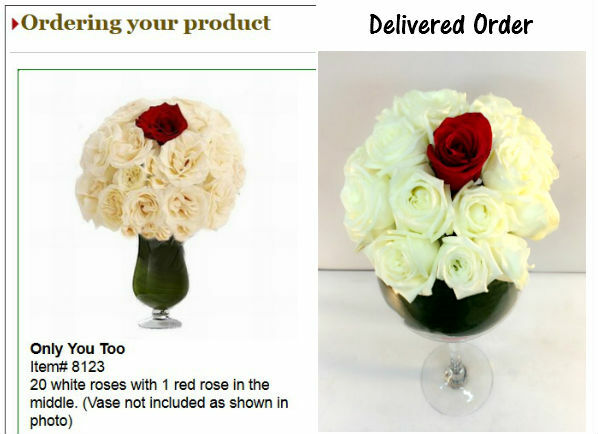 emailroses.com is an reliable, high quality, and on-time online florist servicing . We have helpful Customer Care representatives and staff who are honest and reliable. We are very thankful and lucky that our business has experienced continual success of steady and fast growth since starting the business in 2000. We believe it is due to our business ethics as we work hard to fulfill our customer orders well and are happy to be in the business of making people happy. Here are a couple of examples of some of the successful orders we have delivered. 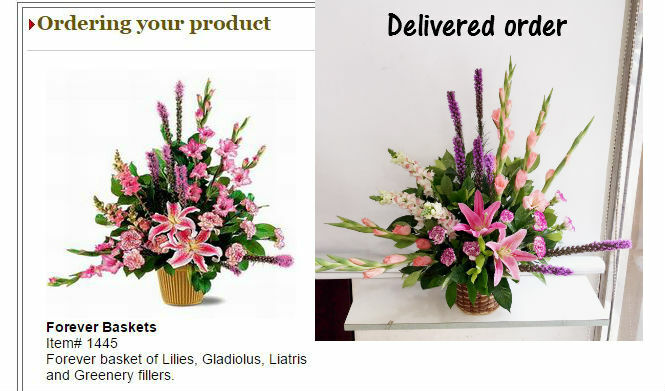 As orders are mostly sent through our network of florists, the results will vary and substitutions may apply. We will always try to have our florists do their best to arrange the order the best they can. BENEFITS -Reasons for being the #1 Choice for Customers. Highlights - Same day orders allowed, make your own custom flower bouquet or custom fruit basket, donate to charity, self modify your own orders, make extra money with our unique Beebate program, be reminder of special occasions with our Date reminder, and get confirmations of your order, payment and delivery. 1. HIGH QUALITY: We use very high quality flowers and prepare your order right before delivery to ensure freshness. 2. 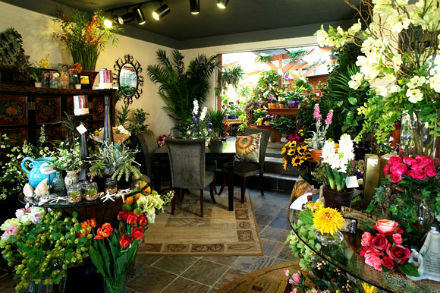 LOW PRICES: We believe our prices are fair and competitive with other florists. We must respect other online florists and do not want to put unnecessary pressure against other florists but we just want our customers to have a good experience and good products at good prices. If you feel our price is not the best, please let us know so we can better serve you. 3. EXCELLENT Customer Care: Our customer care staff are honest and hard working. They will always do their best to help. Our email response time is very fast and we handle questions quickly. 4. Express SAME DAY Service: In most cases, we are able to accept same day orders throughout . This service is available throughout the whole year except major holidays such as Valentine's and Mother's day. 5. HIGH SECURITY PAYMENT SYSTEM: Our payment system is highly secure. We offer Paypal's payment processing as well as Authorize.net. Paypal is a public company listed on the NASDAQ stock exchange in the USA. We keep strict rules as we believe security is important to our customers. With Paypal, we never see your credit card information. 6. BUSINESS ETHICS: We are in business to make people happy. We have expanded our business by offering good quality products and services. We do not take our repeat customers for granted. We believe we have to earn our customer's trust with each order. We work hard for every order which may be the reason our repeat customers have been continually loyal. 7. LARGE PRODUCT MIX: We have a large product mix of over thousands of items to choose from. 8. Autofill Delivery Address: You can log into your account to view previous orders and use the previous delivery address to autofill into your next order. This helps save time and is more organized. This can be found at the login page. 9. Petalpoints are given for most items ordered. Petalpoints are shown at the bottom of the photo under the Buy button. You can accumulate Petalpoints and use them for future free gifts and upgrades. Petalpoints vary for different items. You must have an account set up to use them. Petalpoints can be used at anytime except Valentine's. Petalpoints do not expire. To view the current Petalpoint offers, you may click here. 10. Beebates: Beebates have two parts. 1) Discounts 2) Commissions. Beebates are similar to rebates where after you make a purchase you are given a discount for the next order based on the subtotal of your current order. When using your Beebate code to order, you will receive both the discount as well as commissions. You can share your Beebate Code with your friends so that your Beetbate Revenues increase and your commission payout is higher. Commision payout is 30% of your Beebate Revenues. When the Beebate commissions accumate over USD 50, you can request the cash payment via Paypal.com. You must have an account to use Beebates. A. Custom make bouquets. You can visit our virtual flower shop webpage which you can custom make your flower bouquet. B. Custom make fruit baskets. You can now custom make your own fruit basket. C. Self-Modifications of orders. You can change and self-modify your order. Our website has been designed to provide you with enough tools to order the exact kind of flowers you wish to deliver. D. Photo Return Service. This service is to take a photo of the recipient and send the photo back to you in email. This is a wonderful way to see the person you miss and care about. This service has been widely used for love relationships and when flowers are sent to grandparents. Please note this service is not available in all areas. E. Singing telegrams. In some areas, we offer an unique services through, SingAlive.com, which most florist don't provide.. We offer singing telegrams which can be ordered with your flowers. Please first check to make sure the singer can be arranged. This service is not available in all areas and needs to be ordered in advance. The singers are hired on a third party basis and are amateurs which dress in normal clothing. F. Charity Donations. We have been sincerely thankful for our success in our online floral business. We created this extra service so that anyone who cares about the world and wishes to help the homeless or needy can send three types of donations. 1. Money donations. 2. Rose Donations. 3. Food and Clothing Donations. With or without extra donations we try to make it a point to help the homeless and needy when possible. If you do not donate here or anywhere else, please try to give to the needy when you can. There's a lot of people in this world that feels no one cares about them. When you give a small gift, even non monetary, the people in need will feel your warmth and care and make them feel happy. It will be also rewarding for you when you see how much you can make someone else happy. Please also consider both homeless people as well as animals too. Because animals are even more helpless than people, please try to help any animal in need. G. Email-Real-Gifts: Emailroses.com will help you send real flowers and gifts with just an email address. This is especially helpful for those who meet people online on websites such as social networking, lovematch, dating sites, singles, alumni, special events, Facebook.com, Wechat, Match.com, Myspace.com, Linkedin.com, Orkut.com, online chat, chatrooms, and the alike. You do not need the person's address at all to send gifts! 12. CONFIRMATIONS: We will send you confirmations along the way for your order. 1) A confirmation will be sent to confirm your order which you can modify or update. 2) A confirmation will be sent from our website confirming your payment and that your order is in progress. 3) A confirmation will be sent from our payment processor, such as Paypal.com, confirming your payment. 4) A confirmation will be sent to confirm scheduling of your order on the day of the order. 5) A confirmation will be sent after delivery has been made. 1) Order reminders. When an order is made but payment has not been completed, we will send a friendly reminder for payment. At this point, prior to payment, you can still modify or update your order. This way you can make your order and pay later. 2) Date reminder. You can apply for reminders so that you won't forget special occasions. Currently, emailroses.com uses Paypal.com as the credit card processor and Authorize.net. Having a third party credit card processor such as Paypal.com is very safe, secure and private. emailroses.com never sees the customer's credit card and any information on the credit card. This is very safe and protects the consumer against fraud. We also accept direct bank deposits and checks. Orders will be delivered upon the completion of the deposit transaction. emailroses.com offers a large selection of flowers. We keep our flowers fresh and good looking. We also offer the unique service of custom make flowers. You can now choose your own floral additions and arrangement. Petalpoints are given for most items ordered. Petalpoints are shown at the bottom of the photo under the Buy button. You can accumulate Petalpoints and use them for future free gifts and upgrades. Petalpoints vary for different items. You must have an account set up to use them. Petalpoints can be used at anytime except Valentine's. Petalpoints do not expire. To view the current Petalpoint offers, you may click here. Beebates have two parts. 1) Discounts 2) Commissions. Beebates are similar to rebates where after you make a purchase you are given a discount for the next order based on the subtotal of your current order. When using your Beebate code to order, you will receive both the discount as well as commissions. You can share your Beebate Code with your friends so that your Beetbate Revenues increase and your commission payout is higher. Commision payout is 30% of your Beebate Revenues. When the Beebate commissions accumate over USD 50, you can request the cash payment via Paypal.com. emailroses.com provides excellent Customer Care as well as real-time online help and chat. We also have Yahoo Messenger, MSN and Skype under the account Floristcare. Many of our new customers are from referrals. We take full responsibility for our products and service. We make sure our customers are 100% satisified with our customer care and products. emailroses.com does have a franchise program. We currently have over 485 network florist websites. Franchised website are under strict guidelines to keep the standard and quality as high as possible. Franchises that fall under the requirements, the license may be revoked and business ceased. It is extremely important to keep high standards and quality of both products and Customer Care. If you are interested in pursuing a Franchise, you may contact WeCare@emailroses.com for more information. Please send your resume with a full description of your experience as a florist. We welcome everyone with high standards and high morals the chance to work together.